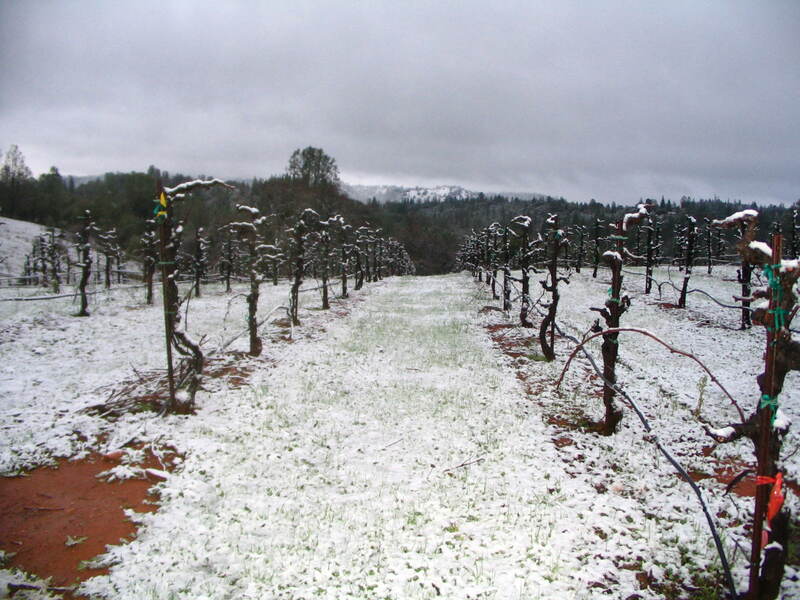 This is our obligatory annual picture of a snow-covered vineyard. The magical moment arrived on the morning of March 18, 2012 following an overnight dusting. This is looking east over the barbera vineyard toward the Sierra Nevada. 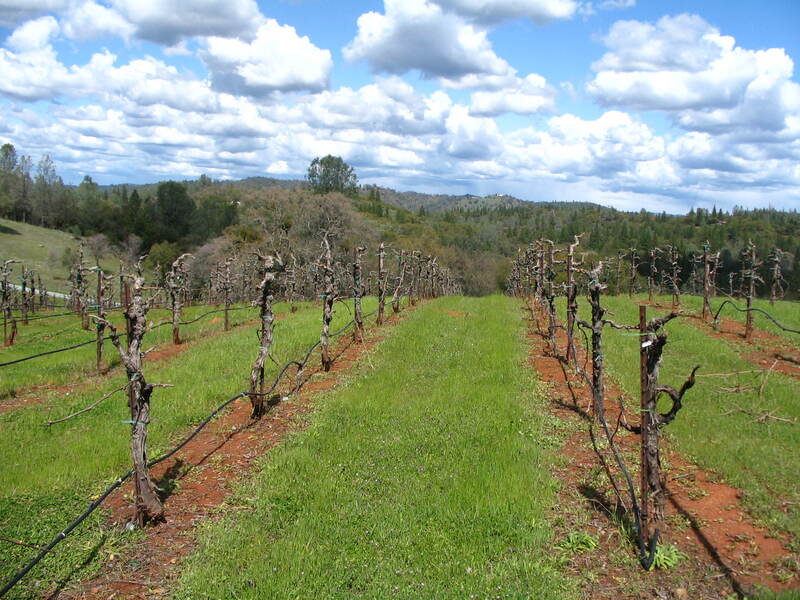 Probably our favorite time of the year in the vineyard: Vines pruned for the coming season and cuttings mulched, cover crop green but not overgrown yet, beautiful spring weather conditions. This is looking east over the barbera vineyard on April 5, 2012.